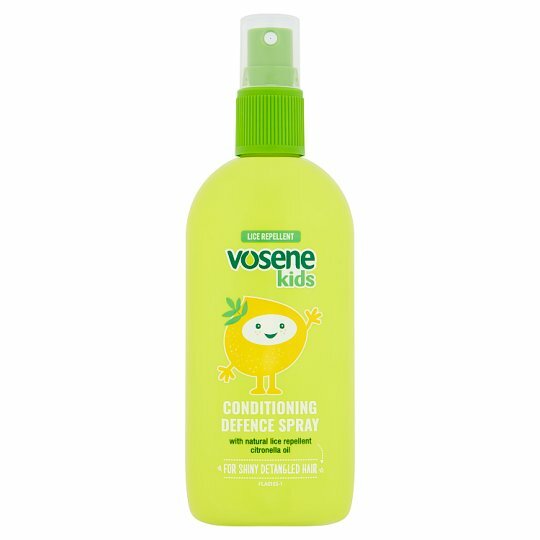 In our Conditioning Defence Spray, we start with our trusted Vosene Kids formula and add a strong boost of citronella oil to give your little ones shiny, tangle free hair that will keep head lice at bay. WARNING: Essential oils may affect acute asthma sufferers. Avoid inhalation. Discontinue use in the event of any adverse effects. Do not use on children under 3 years. Keep out of reach of young children unless under adult supervision.